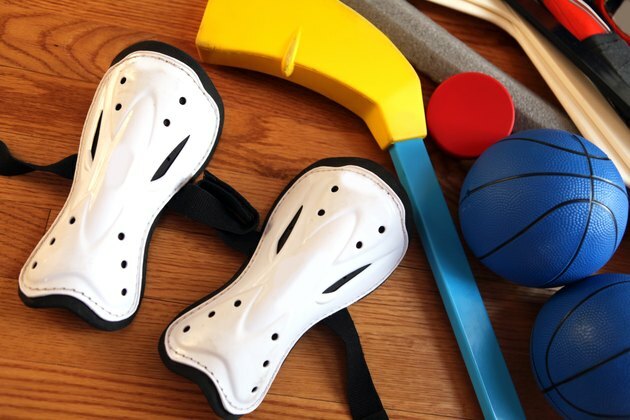 Shin guards are an important part of your soccer equipment, and they need regular cleaning in order to prevent odors and mold and to keep them in top condition. 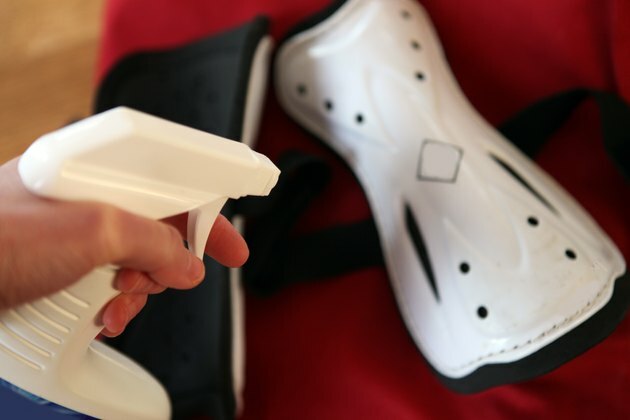 While there is no exact science behind cleaning shin guards, there are a few methods that work better than others. Remember to use the gentle cycle on your washing machine; and follow the instructions provided by the manufacturer in case there are special treatments you should be using. 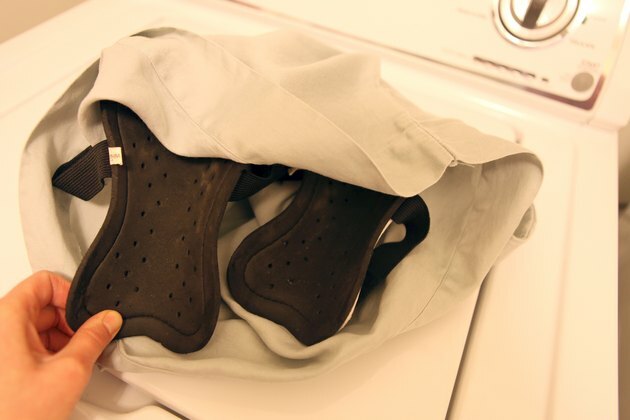 Wash your shin guards in your washing machine at least once a month. 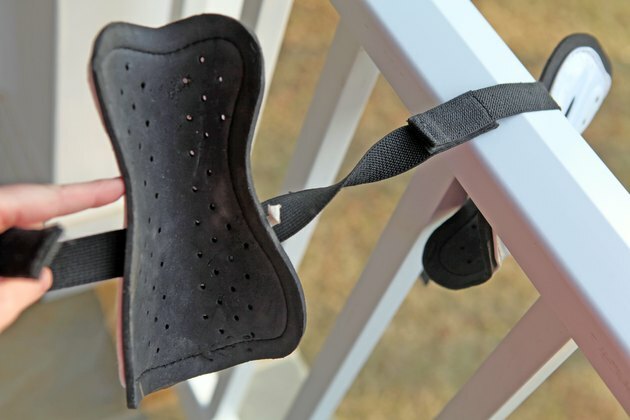 This is an especially good idea if the shin guards have a protective lining, so the plastic is not exposed and unlikely to scratch or chip by banging against the sides of the washing machine. If they're plastic on the outside, put the guards in a pillowcase that zips up and then throw them into the washing machine. Use both detergent and softener to help eliminate any odors. Wash your shin guards with soap and water, if they're made completely of plastic. Use a small brush and scrub with soapy water until all the dirt and stains are gone. You can also try vinegar mixed with water or lemon juice. These are good options if the shin guards are part plastic and part elastic or cloth. Soak them in water for 15 to 20 minutes if they're too sweaty. Hang your guards outside to dry after washing. The sun and fresh air will also serve as deodorizers, eliminating any remaining odors and helping them to dry completely. Don't put the shin guards into the dryer. Spray shin guards with spray disinfectant after each use to prevent fungus and bacteria from growing. Bacteria can cause odors, so preventing its growth or attacking it early is essential to extending the useful life of the shin guards. You can also spray them with Febreze just after use to help dissipate the smell. Remove your shin guards from your gear bag as soon as you get home so you bag won't become too smelly. If you can't wash them immediately, at least let them dry out of the bag.